*Please arrive no later than 8.20pm for an 8.30pm start. We hope you can join us. Our popular quizzes are open to everyone; you don’t have to be an OSC member to attend. 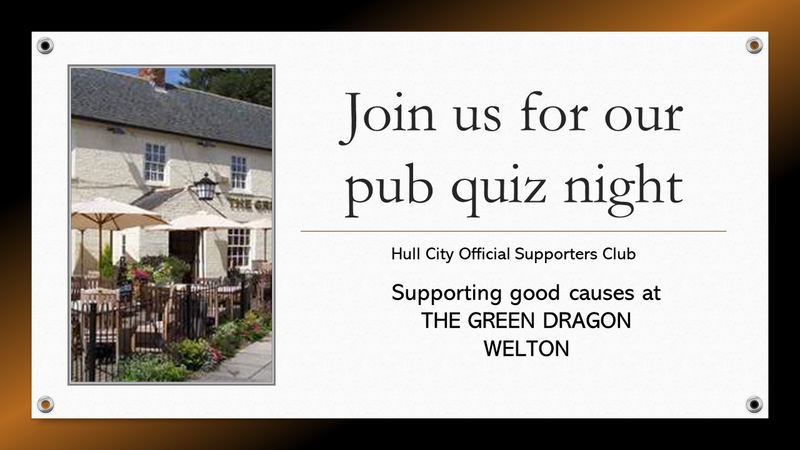 Entry is £1 per person (maximum of 6 in a team) - a fun filled night of questions, giggles and fundraising is assured. As usual, there will be four rounds of questions - including the ever popular Wipe-out round. The winning team will be awarded a gallon of beer and the 2nd placed team 1 bottle of house wine courtesy of the landlord. As ever, there's chance to win a HUGE cash jackpot in Open the Box. Tickets are £2 each with half the money collected on the night being added to £265.50 carried forward from previous months when the money hasn't been won, and the other half increasing the total funds for Headway. We'll also open each of the 6 boxes given it's our last Quiz for 2018. Our chosen good cause for this event is vital because: as the former Hull City player Ryan Mason and his family know only too well, the support, services and information given by Headway to brain injury survivors, their families and carers, as well as to professionals in the health and legal fields, is second to none. We will be taking the opportunity tonight to make a formal presentation to our chosen charity, Headway, the brain injury association - the fantastic news is that we have already beaten the totals raised in each of 2016 and 2017 from our Welton quizzes - we thank you so much for your support.